Media – Page 4 – The Lee Bros. Tune in to this space Friday at 11AM for news of our new venture! We have just a couple open spots left in our Cookbook Boot Camp session in Williamsburg this June. In our two-day seminar, you’ll get all the tools you need to make your book happen! For details, click here. 77+ Lee Bros Recipes Now Accessible on NYTCOOKING.COM! On June 1, 1994, Florence Fabricant wrote about our boiled peanuts performance art project in The New York Times and got us started in the food business! What a thrilling journey it’s been—thanks Florence! (Our parents will never forgive you!!). To read Florence’s piece click here. Win a Scholarship to Cookbook Boot Camp! Food Writers, Bloggers, Culinary Historians! Want to win a scholarship to Cookbook Boot Camp? Serious Eats is hosting a contest to win FREE tuition to our June session for writers in Williamsburg, Brooklyn! Check details here. New Cookbook Boot Camp Sessions Announced! We are thrilled to announce that two Cookbook Boot Camp sessions in Williamsburg, Brooklyn on June 15-17th (working chefs only) and on June 18-21 (bloggers, beverage professionals, and all others), 2014. Three more Charleston sessions will be announced soon for January 2015. For more information, and to register to receive the prospectus, go to thefoodlife.com. Join us as we cook from The Lee Bros. Charleston Kitchen at the kitchen stadium of Charleston Cooks!, our friendly neighborhood cookwares store on East Bay Street, Thursday, May 1. Sip wine as we tell some stories and introduce you to the flavors and treats you can only find from sampling Charleston home cooking. We’ll be taking all your questions and inscribing and signing cookbooks after the class. Follow this link to reserve Spaces are limited so act soon! Lee Bros Charleston Kitchen wins IACP Award! 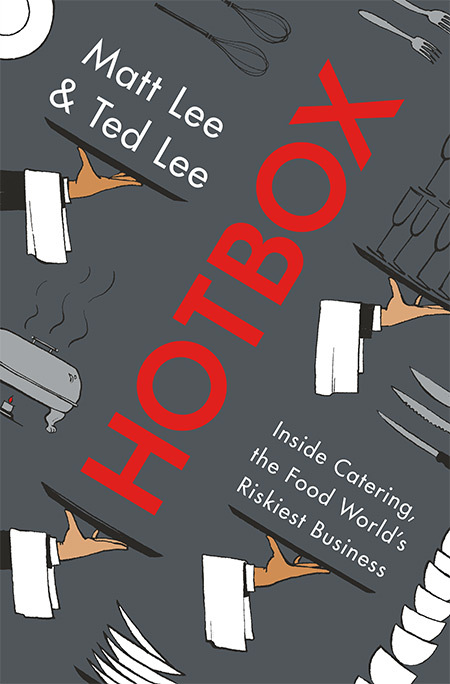 We are honored that our latest cookbook, The Lee Bros. Charleston Kitchen, won an IACP award in the American cookbooks category, in such august company as our mentor and friend Lucinda Scala Quinn (whose “Mad Hungry Cravings” book was art-directed by our good friend and colleague James Dunlinson) and together with Will Guidara and Daniel Humm, whose “I Love New York” is as rare and delicious a treat as their four-star restaurant Eleven Madison Park. We want to thank the incredibly talented team of Squire Fox, Jamie Kimm, Lawrence Mitchell, Angie Mosier, Sully Sullivan, David Cain, Kate Hays, Rica Allanic, Stephanie Huntwork and many, many, many others who contributed to the making of the book. Charleston lost a culinary icon last week with the passing of Gertrude Sassard, who along with her late husband, Dupree, her son, Allen, and daughter-in-law Dayna, ran “Mrs. Sassard’s Handmade,” a Mount Pleasant-based manufacturer of premium pickles, preserves, jams, and jellies, founded in 1917. In addition to being a tireless worker, Gertrude was a great storyteller and wit, whose bemused skepticism about the capabilities of those around her–particularly her wholesale customers–kept everyone laughing around the production kitchen. A great part of the pleasure of collecting our cases of Iced Tomato Pickles and Pickled Peaches from the Sassard house on Church Street was visiting with Gertrude, who typically could be found in the production kitchen peeling sunchokes with a paring knife— and she could peel fast. “Made its way by the way it’s made” is the company slogan, and well describes the effort that goes into everything Gertrude touched, from the artichokes, to the hand-peeled Pickled Peaches, to the whole fig preserves, Jerusalem artichoke relish, and the rare Pumpkin Chip Preserves. We are saddened greatly by her passing, but thanks to her son Allen, who continues in her footsteps, we know the products we love so much will remain on Lowcountry tables for years to come, in the company of great memories of Gertrude Sassard. We’re so grateful to our friends and fans who made 2013 a great year! In case you’re still looking for a collard greens recipe for New Years Day, click here for ours–thanks to Andrea Weigl, who hosted our favorite oyster roast of the year. May everyone’s collards be tender in 2014! A brilliant, gleeful, fly-on-the-lip-of-a-saucepan narrative, full of tips and secrets, and proof (yet again) that some of our greatest stories are in how we make food. You will never ever take a passed hors d’oeuvre for granted.